There are currently, 91 guest(s) and 0 member(s) that are online. Welcome to JAX Market. A secure shopping mall! JAX Market is a secure on-line shopping center representing a growing variety of merchants interested in doing business with you. Each of the stores represented in our mall is individually owned and operated. Like any other brick and mortar store the products offered by that store belong to that store. Each of the products listed here clearly identify the merchant. Also you will find a variety of news feeds showcasing various business people who are interested in doing business with you. Enjoy your visit and come back often. The showcased products change frequently and the news is updated regularly to. IN fact we suggest you subscribe to our news feed and stay up-to-date on the latest offers by our merchants. Purchase Info iPad mini features a beautiful 7.9" display, iSight® and FaceTime camera, the A5 chip, ultrafast wireless and up to 10 hours of battery life.1 And over 275,000 apps2 on the App Store made for iPad work with iPad mini. So it's an iPad in every way, shape and slightly smaller form. This CybertronPC 5150 Unleashed TGM1223F desktop features AMD Radeon HD 6670 graphics with 1GB dedicated video memory to bring you vibrant gaming visuals. A built-in high-speed wireless LAN lets you access your favorite Web content. 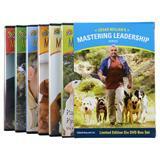 Acclaimed dog expert Cesar Millan demonstrates his dog training techniques and methods in this comprehensive series. Cesar discusses the nature of dogs and how to become the pack leader for a happy and disciplined dog. Purchase Info This Sony VAIO L Series SVL24147CXB all-in-one-computer features a 24" high-definition touch screen for detailed images and simple navigation of features. A built-in Wi-Fi adapter enables easy Web access, and a hybrid TV tuner lets you watch TV shows. Purchase Info Enhance your gaming visuals with this CybertronPC 5150 Escape TGM2222A desktop that features AMD Radeon HD 6770 graphics with 1GB dedicated video memory to showcase stunningly lifelike images on a compatible connected display (not included). All logos and trademarks in this site are property of their respective owner. The comments are property of their posters, all the rest copyright © 1994-2013 by JAX Computers.